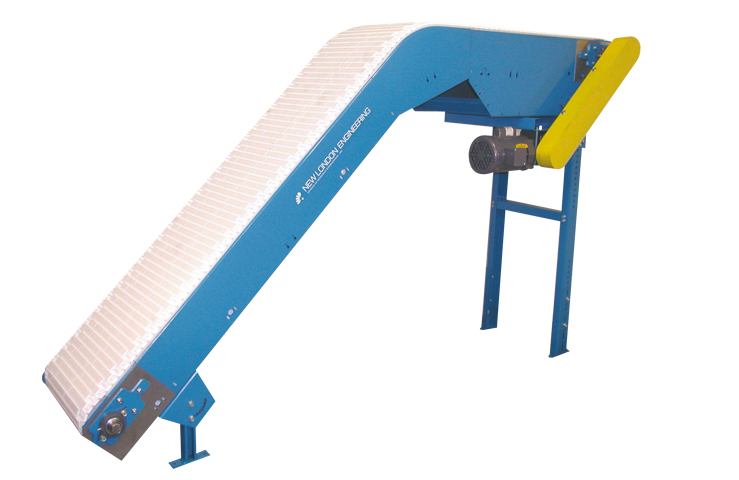 The Model 2000-N is designed to carry boxes (packaged items) up inclines or down declines. These units use a belt with a friction top surface rather than a cleat to move products. The Nose Over provides a smooth transition from the incline to the horizontal.